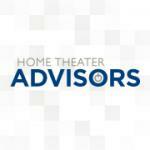 Home Theater Advisors had the most liked content! Not to beat a dead horse, but not sure how "It does work for the most part. But there are idiosyncrasies you may run into." makes it sounds like a 'dead' driver. What you say is correct, but my understanding is that if you are having issues with it, support will not help, as the 4 and 4K are not supported. All of the c4 empoyees on the c4 programmers facebook group say the IP driver isn't supported for the newer apple TVs, everytime it comes up. And they all recommend Jesse's IR driver. So while the IP driver works for now, use at your own risk. I for one do not want to have dozens or more installs with an unsupported driver in them that could be broken at any time. It does work for the most part. But there are idiosyncrasies you may run into. Like the Anon2828 did. Can I listen to spotify and watch something on the TV in the same room at the same time?